We planned a weekend get-away to East Central Florida (Daytona Beach, Ormond Beach and Cape Canaveral) driving through Georgia. It’s a 5-hour drive but between the stops, and grabbing something to eat it will take around 7-8 hours. Therefore, I had plenty of road trip busy boxes and snacks for little one. We planned for a long weekend from Thursday through Sunday. However, due to the short time that we were going to be there, I really wanted to make the best of it. I used an app to map our route, in Georgia we stopped at the rest area, and we found an offbeat attraction in Jacksonville, Florida (Gator Boulevard). 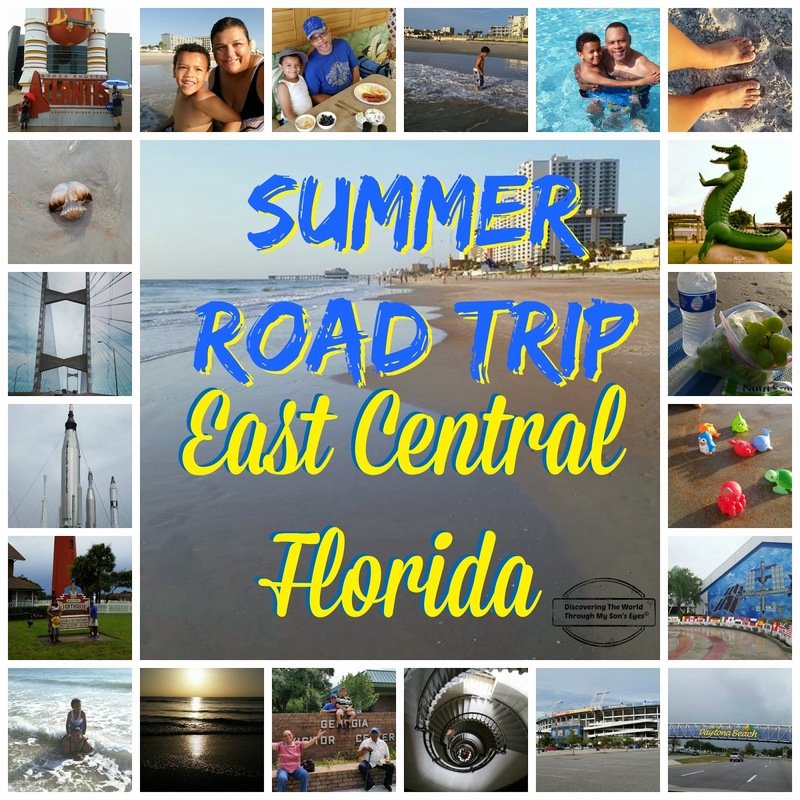 I added a few more places to stop and visit while we were in the East Central Florida area.